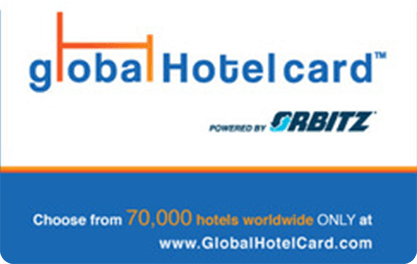 The Global Hotel Card powered by Orbitz is the premier worldwide hotel gift card. Whether for your own use or as a gift, enjoy options from over 70,000 hotels worldwide including all the major brands, resorts, boutique hotels, Bed and Breakfast choices and more. No date restrictions, fees or expiration dates.